Diane Stewart, YMAC Director, reflects on her experiences of native title. 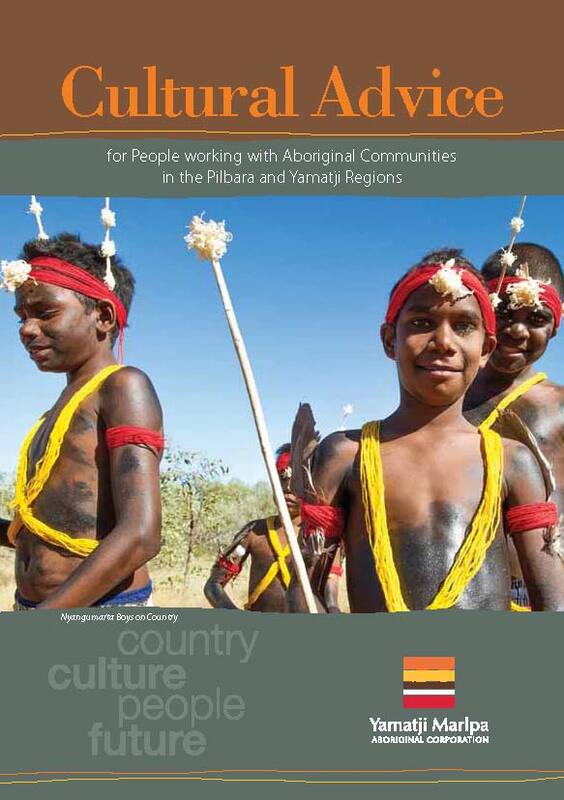 The Njamal people of the Pilbara region of WA welcomed a visit by United Nations Special Rapporteur on the Rights of Indigenous Peoples, James Anaya on their country last week. Professor Anaya visited the site of a joint venture between the Njamal people and Fortescue Metals Group (FMG), the North Star Project. The Njamal People and FMG entered into an agreement in December 2011 that will protect significant cultural sites and lead to the creation of a joint venture to run a mining operation on an orebody adjacent to FMG’s proposed North Star mine. During the visit, YMAC Co-Chair and Njamal elder Mrs. Doris Eaton spoke to Fairfax media about the joint venture and what it means for Njamal people and country. Read the full story in the Sydney Morning Herald here. Professor Anaya had the opportunity to meet with the Njamal people and representatives of FMG to learn more about this unique land access agreement. He also visited significant Njamal heritage sites, including rock art complexes, and spoke with the Njamal people about the effect that mining has had on their community. “I’m grateful to the Njamal people for the opportunity to meet with them on their country, along with representatives of FMG, and learn about a unique and potentially beneficial arrangement with the mining industry”, Professor Anaya said. The National Indigenous Youth Leadership Academy (NIYLA) is holding its first national conference in Sydney later this year, and applications are now open for Aboriginal or Torres Strait Islander people aged 15-18 years who would like to attend. NILYA is a national network of Indigenous youth which promotes cultural empowerment, innovation and social change through community movements. The confence will provide those who attend with opportunities to network, build leadership skills, and play an active role in creating lasting change for Australian Indigenous communities. The conference will be held at the National Centre for Indigenous Excellence in Sydney, from 29 September to 4 October 2012. Click here to read the eligibility requirements and download the application form. Applications close 1 September 2012. The Midwest Aboriginal Organisation Alliance (MAOA) is a participatory action research group working towards greater community engagement in Indigenous issues. MAOA works collaboratively with community, industry and government partners to address key issues affecting the futures of midwest Aboriginal people. YMAC would like to congratulate MAOA on being announced as a finalist in the 2012 Northern Agricultural Catchments Council Sustainability and Innovation awards. See the MAOA’s promotional video below for an insight into the project’s community aspirations, achievements and partnerships. The finalists for the 2012 National Landcare Awards have been announced, and all Australians can get involved by voting in the ‘People’s Choice’ category. Landcare is a community based volunteer movement made up of individuals and groups who work on managing environmental issues in their local areas. The awards aim to showcase the breadth and diversity of the work undertaken by people across the country who volunteer their time to protect Australia’s land and coast. YMAC would like to extend a special congratulations to Nyangumarta woman, Nyaparu Rose, who has been selected as a finalist. Ms Rose has worked tirelessly with Pilbara Traditional Owners to ensure their voice is heard in discussions about the management of coastal and marine environments in the region. Ms Rose helped to establish the Pilbara Indigenous Marine Reference Group (PIMRG), which includes representatives from six Pilbara Traditional Owner groups. 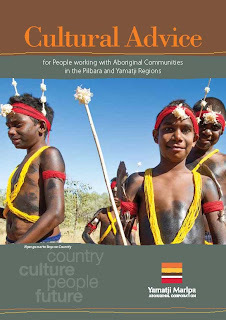 The PIMRG aims to consolidate traditional knowledge from the region so that Traditional Owners can more effectively conduct negotiations with government and industry on cultural and coastal protection. If you would like to vote for Nyaparu Rose in the National Landcare Awards, click here and follow the prompts. Ms Rose is in category 7, under ‘WA – Yamatji Marlpa’. Voting closes 4pm (EST) Tuesday 4th September, and winners will be announced that day at the Awards ceremony, held at the Sydney Convention and Exhibition Centre. YMAC would like to congratulate all finalists who have been nominated for an award. Click here for more information on Nyaparu Rose’s achievements, and here for a list of all the other 2012 Landcare Awards finalists.